I caught some tautog from shore just over a week ago and brought them home to Lauren to see what she could do with the fish cooking-wise. 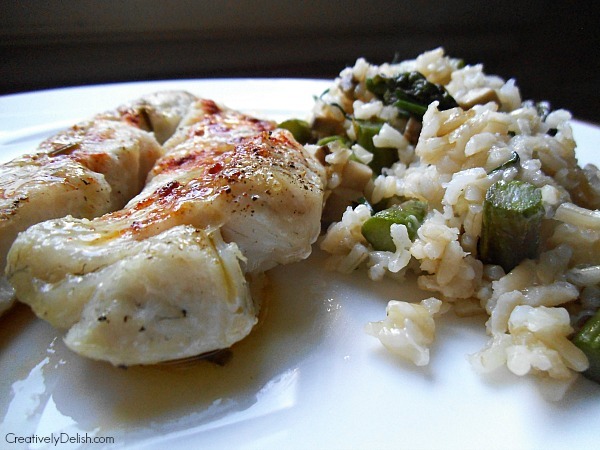 Tautog is a very delicious fish and I was excited to see what Lauren would come up with for a recipe. 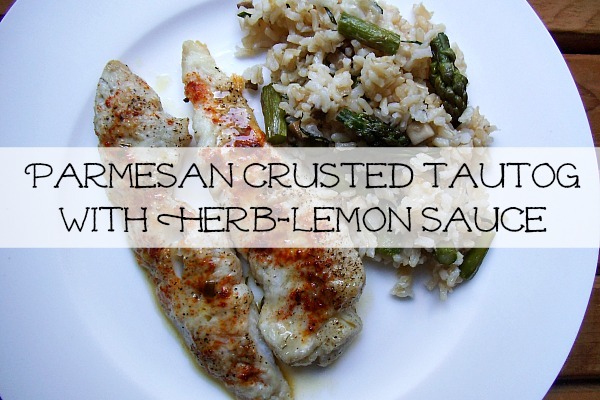 In this post Lauren will share with you a new recipe she created for tautog. I ate this meal last week and I enjoyed it very much! If you've never heard of tautog, otherwise known as black fish, tautog is a flakey white fish with a very mild flavor. It sets up well to pair with spicy smoked paprika and nutty parmesan cheese. The light herbed lemon sauce gives the fish more depth with it's rich flavors of herbs such as mint, basil, parsley and more. So as the herbs marry together in the butter, oil and lemon sauce, begin to assemble the fish. 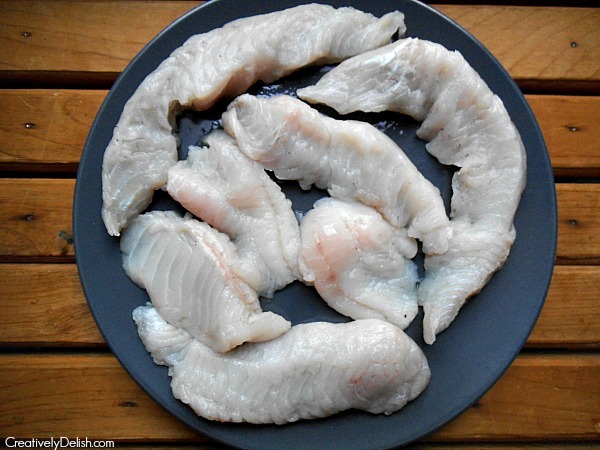 As you can see, this is just a simple white fish. What is so special about this fish though is that Ryan caught it the day before - fresh as can be! I chose to use the smoked paprika because it goes so nicely with the parmesan and I needed another flavor to go along with it so that the lemon sauce didn't take over. It took only 8 minutes for it to cook, from start to finish - how easy is that?! If you're drooling over the rice served on the side, be sure to check out my Twice Cooked Rice with Spring Vegetables and Manchego. It's a great pairing to the fish! 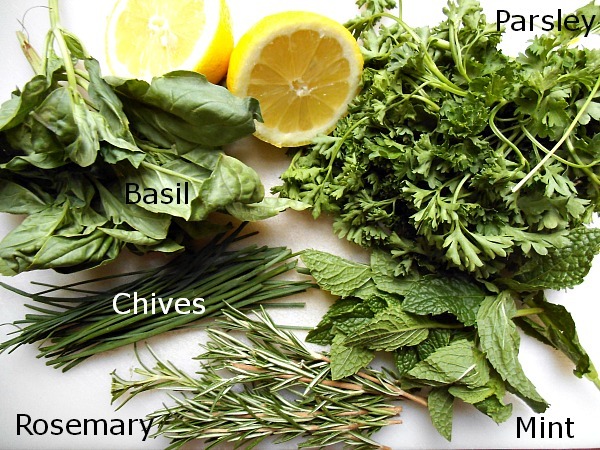 even amounts of each, all chopped: mint, basil, chives, parsley, rosemary. On a baking sheet, grease it with a little olive oil and arrange fillets. Sprinkle each fillet with parmesan cheese then sprinkle a little bit of paprika on each. Bake for 8 minutes or until fish is cooked through. In a saucepan, heat ¼ cup olive oil, butter and lemon juice for 5 minutes. Add the zest and herbs then stir to combine. Let that simmer for 5 minutes while the fish cooks. Using a strainer, pour the sauce through and discard of the herbs (or leave them if you want). Drizzle each fillet with the sauce then enjoy! Through the eyes of a fishermans’ wife, I’m excited to share my cooking and photography with you here on MFCC. You can learn more about cooking, and get more recipes by visiting my website Creatively Delish. It was delicious, thank you! I will let Lauren know you enjoyed the recipe. My fish had the skin on it Broiled skin side up with pepper for 4 min then turned over and followed directions I also added a scallion to the sauce. Yes I already have a few recipes I’m going to try this next week when I come down! Lauren. This recipe looks amazing. Can’t wait to try it. Haven’t chased any “Tog” yet, but I have plenty of striper meat. Thanks much! Thanks Brian! 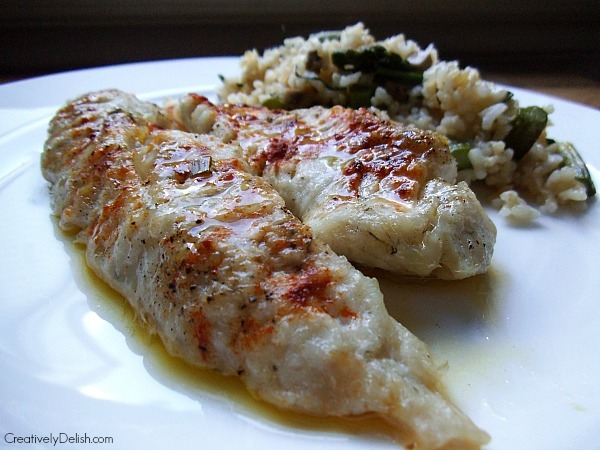 The recipe will definitely go well with striper too, but if you’re looking for more inspiration on how to cook it up there are a few other recipes in the Free Seafood EBook you might like! Let me know how you like the recipe if you try it!